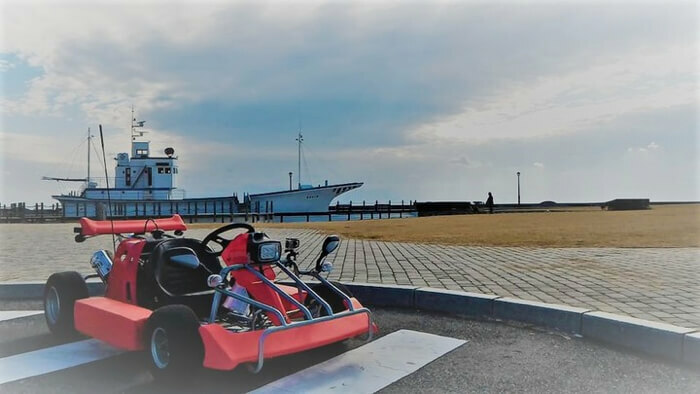 BOSO KART offers the chance to climb into a go kart and go riding around the streets of Minamiboso in Chiba. They have just launched a new set of courses for tourists. The kart at the front will act as a navigator, so even first-timers to go karting can get involved with the fun. The Minamibososhi Sight Seeing Information Center started up this new set of courses in responses to the large amount of foreigners using rental karts in the city. Go karting around the city is especially popular with foreigners there. But this go karting experience is a little different, instead serving as a tour where you can enjoy following the lead car up front to showcase places of scenic beauty. There are three courses in total, one of which begins with the Chikura Shiokazeokoku as the starting point. The only requirements to ride are a either a driver’s licence, ordinary motor vehicle license, or international driving permit. The service also operates on weekdays, with the starting point at Chikura Shiokazeokoku. You can also buy tickets in advance via Lawson Tickets. Experiencing riding around Minamiboso on a go kart while checking out the sights with a tour guide!